Nowadays multihulls are no longer a rare sight but have their own community of fans and are widely accepted for their special characteristics and advantages. So we think it is only logical that world famous multihulls of the french shipyard Fountaine Pajot, should complete our portfolio. 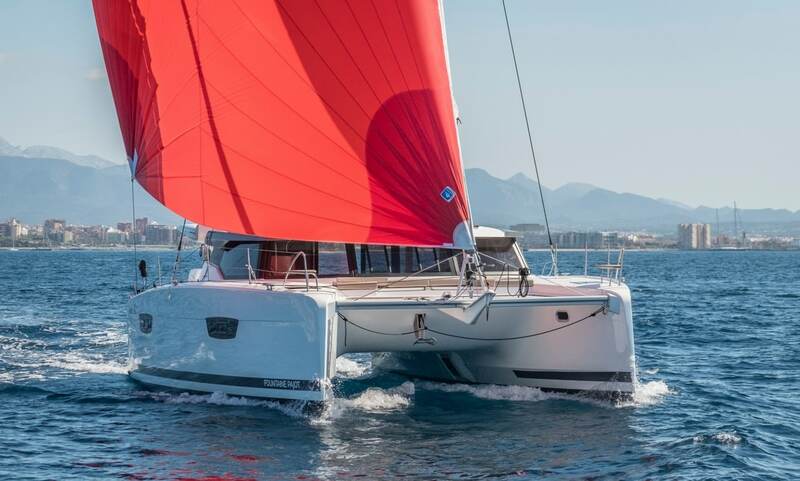 You will find the majestic sailing catamaran Fountaine Pajot Ipanema 58 as well as brand new units of Saona 47 and a Lucia 40 in our charter fleet. And of course we also offer you a one of Fountaine Pajot’s excellent motor yachts for charter: The MY 37 will convince you of the incredible advantages a motor cat has to offer! Be invited to come and see our catamarans – taking them out for a charter is one of the best options for decision making before purchase.